●Kyoto is the name of both a city and a prefecture. There is Kyoto City (population 1.5 million) and Kyoto Prefecture (population 2.6 million). ●There are 1,681 temples and 812 shrines in the city of Kyoto. ●The Golden Pavilion and Silver Pavilion are in Kyoto. The Golden Pavilion is covered with gold, but the Silver Pavilion is not covered with silver. “Silver Pavilion” is a nickname; its real name is Jishou-dera. The shogun Yoshimasa Ashikaga built the temple, modeling it after Kinkakuji. However, this was right after the civil war in the city and the task of covering the pavilion with silver could not be finished because of the economy. There was a civil war, “Onin no Ran” (Onin War) in the city of Kyoto in the 15th century. The war lasted for 11 years (1467-1477). It was a war between two families of samurai warriors in power in Kyoto area. ●When Japanese people say “ the war”, it refers to the World War II, however, in Kyoto when they say “the war”, it often refers to Onin War in the 15th century. ●People in Kyoto Prefecture consume bread more than people in any other prefecture in Japan do. ●People in Kyoto spend more money on coffee than people in any other prefecture do. ●It is said that people in Kyoto like eating powdered or milled things. This possibly explains the reason why they like bread and coffee. ●Now a world famous game maker “Nintendo” was established in Kyoto in 1889. They made playing cards for Japanese card game. ●JR Kyoto Station has the longest platform in Japan. It has the length of 564 meters and it takes 5 minutes to walk from one side to the other. 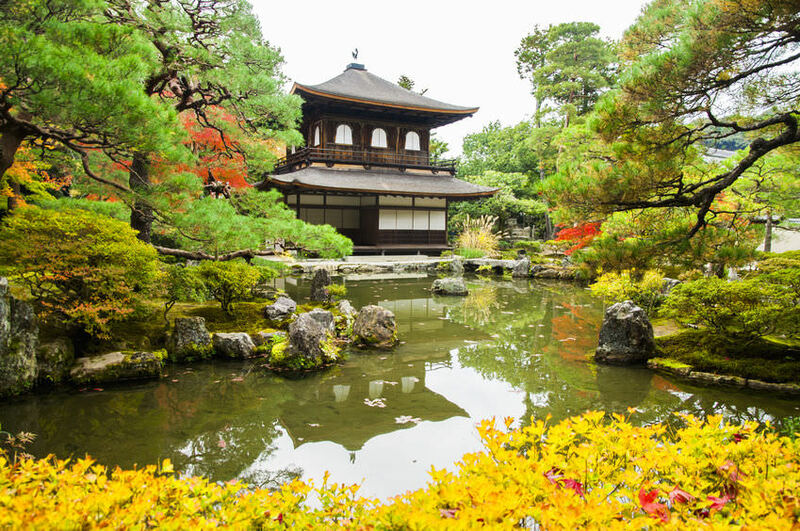 ●Kyoto was the capital of Japan for about 1,000 years.